2.High output power with well matched propellers. 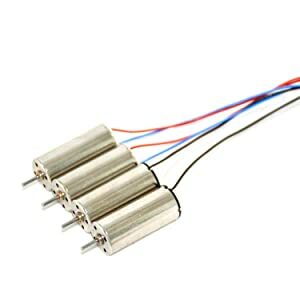 3.High efficiency motor combination for 95-135mm brushed drones. 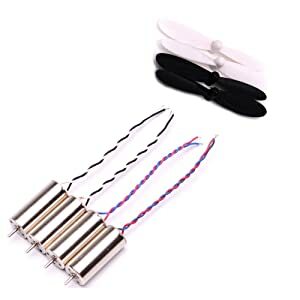 5.An excellently paired combination of high-efficiency propellers and ultra-fast motor, USAQ coreless motors provide an increditable flight experience. 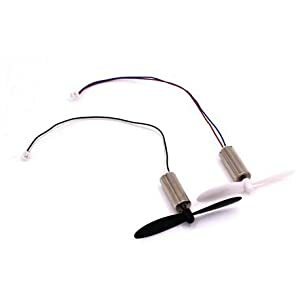 This is a 8520 53,000rpm 75mm Coreless Brushed Motor+ Propellers Set, .An excellently paired combination of high-efficiency propellers and ultra-fast motor provide an increditable flight experience. Before getting started, you need Screwdriver, Cutting pliers, Soldering iron, Voltmeter, Tin lead resin for soldering, spare parts to replace the faulty components, and your patience of course. Always disconnect the battery to prevent any short-circuit. Removed all the faulty parts and carefully replaced them with the new ones.